week in, week out and regularly set fans' pulses racing. Looking back at a raft of household names, each individual biography analyses each hero's career, and examines exactly why each man was idolised and how they achieved cult status. 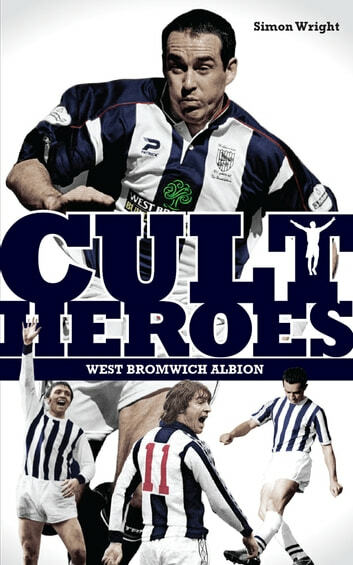 Featuring Bob Roberts, Billy Bassett, Jesse Pennington, Harold Bache, Tommy Magee, WG Richardson, Ray Barlow, Ronnie Allen, Derek Kevan, Joe Kennedy, Tony Brown, Jeff Astle, John Osborne, Willie Johnston, Cyrille Regis, Don Goodman, Bob Taylor, Richard Sneekes, Lee Hughes, Darren Moore and Tony Mowbray.